My November roster came out yesterday. Roster day is always highly anticipated, and I was pleasantly surprised for November! I didn’t bid, and there are lots of mixed opinions on bidding. Some people do it without fail each month, some people never bid and swear they always have the best rosters. I didn’t bid in October either and only got 1 turnaround, and as I’m always hoping they’ll give me new destinations anyway, I decided to see what luck gave me! I also have 5 days leave as well as lots of days off! So far I don’t have any plans to go anywhere during my leave, but you never know something might just pop up! So there you go, just a quick post of where I’l be heading next month! Are you only alowed to leave dubai for holiday on your annual leave days or also when you just have a day off?? love your blog! all your Posts are always so interesting and fun to read! is your apartement directly in Dubai or how do you get to alle the malls? is driving taxi safe in Dubai or do you use the Special “womens only Taxis” ?? how is going by Metro in Dubai, is it safe? and how about at night, which transport do you prefer? Hi, thanks so much for reading! 🙂 Yep my apartment is in Dubai, it’s not right in the centre though so I just use taxis, buses or the metro! It’s pretty easy to get around. The metro is absolutely fine to use, there is a separate women’s and children’s section but it can get very busy at rush hour! At night I’ll usually take taxis as they are pretty cheap! 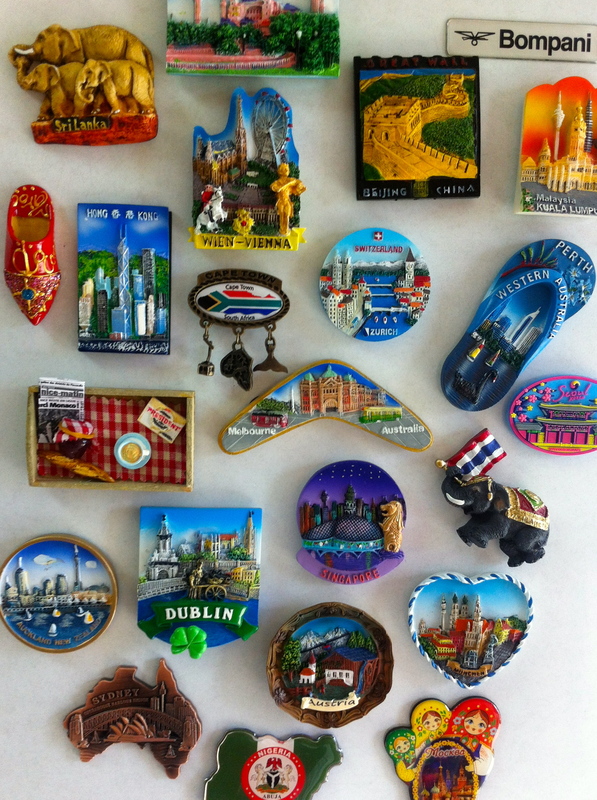 When I go on my RTW trip I’m going to be collecting magnets too! Hi My boyfriend and I have applied to emirates we both previously lived in Dubai for 13 years we were wondering if you knew whether or not you can request to be on the same roster so we could fly together ? Hi there! Unfortunately we used to have a thing called “buddy bid” where you could request to fly with a friend but that was removed a while ago. The only way to fly together is to try and swap onto each others flights!